Entries are still being accepted for the Portland Century sweepstakes we announced in a special newsletter yesterday. If you haven’t yet entered, check your email and put your name in the hat before Friday for a chance to win two free tickets to this awesome ride. 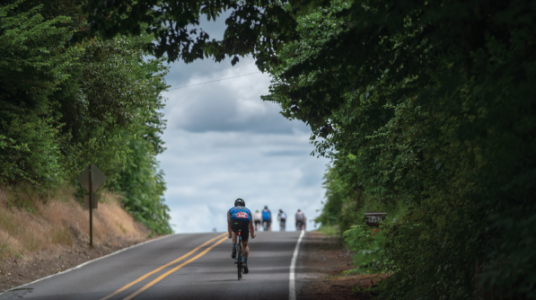 Portland Century is a luxuriously relaxing day on the bike – plus a whole bunch of rewarding climbing for those of you who opt for the full Century Ride challenge. But don’t worry – if 8,100 ft. of climbing over 100 miles isn’t your jam, you can always opt for a shorter route. But we say, go big! Portland Century offers top notch support so if you’re going to challenge yourself, this is the way to do it right – with a team at your back. Plus, the finish line beers will taste even better after those gorgeous views and epic climbs.